The Delaware River area in Philadelphia is a great place for a stroll. 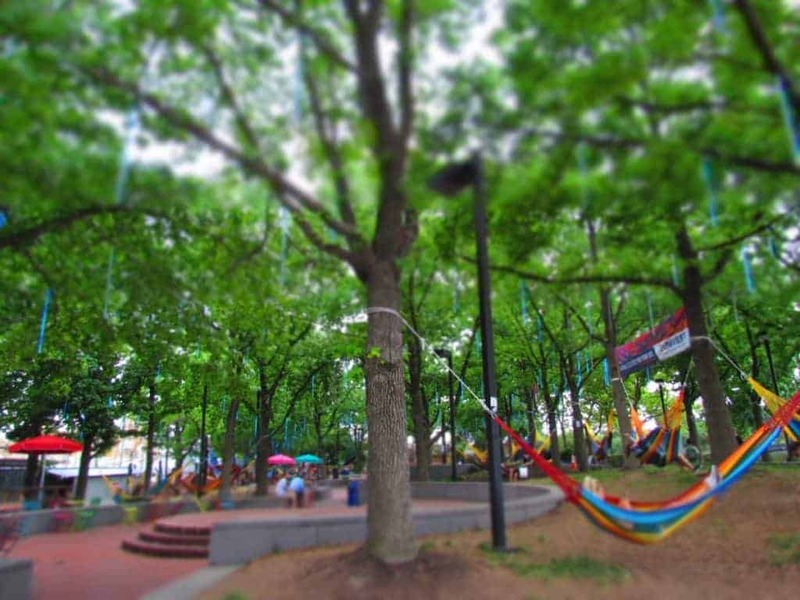 Just south of the Ben Franklin Bridge, we found Spruce Harbor Park. 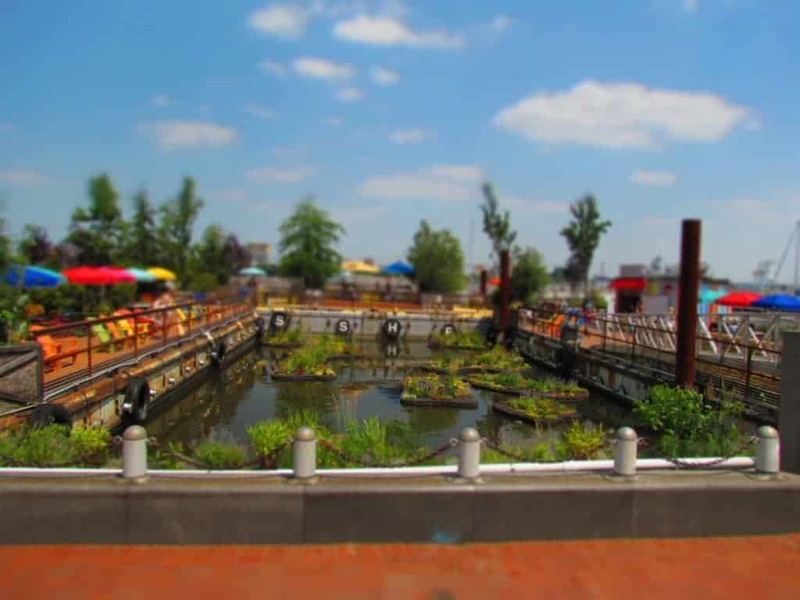 It is advertised as a pop-up park, which has been around for about four years. It certainly highlights the potential for other urban waterfront areas. 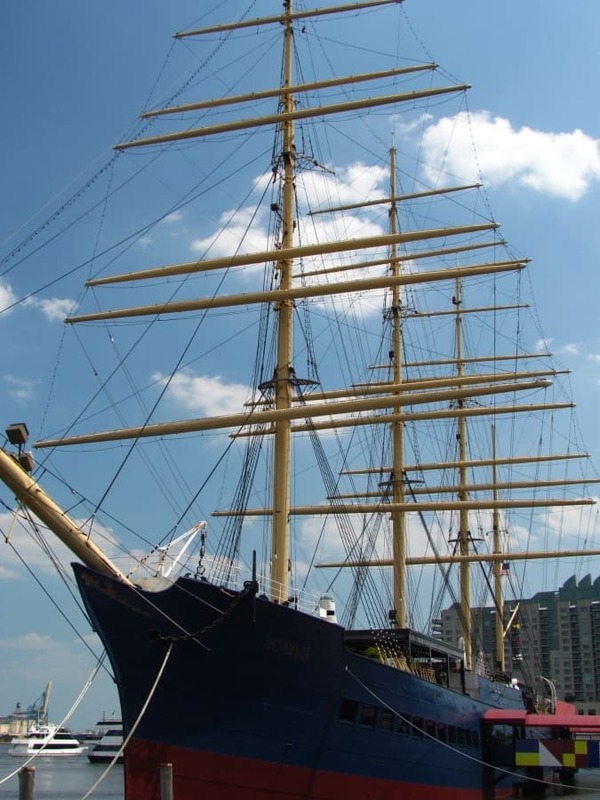 Located at Penn’s Landing, this seasonal park is a great place to wile away some time in a relaxed atmosphere. Paddle-boats allow visitors to survey the area from the water. Kayaks and canoes are also available for rent, and a large area is sectioned off from the main river channel for leisurely boating. Along the water’s edge we found these pens of floating planters. 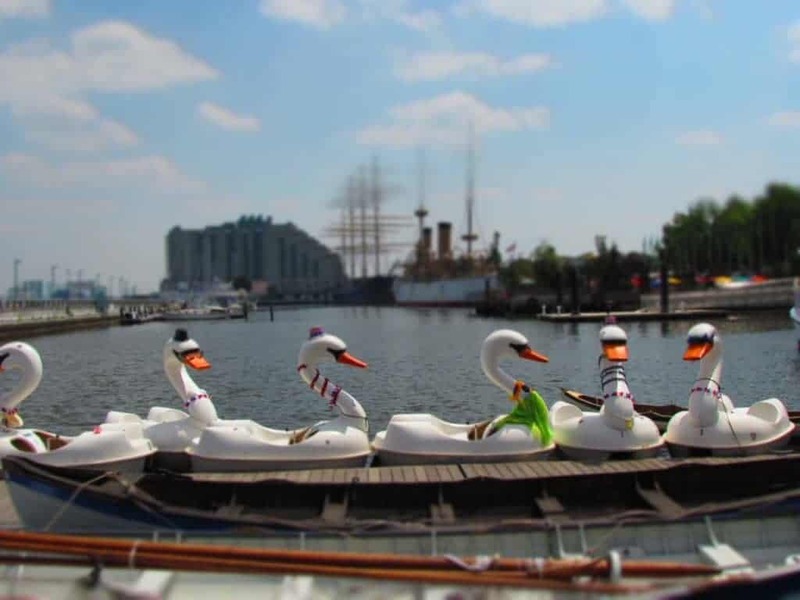 These are surrounded by floating barges for visitors to rest and replenish their vitamin D in the sunshine. Food options are abundant from nearby vendors. Pizza, sandwiches, and even ice cream treats were being sold during our visit. Beer and win drinkers are not forgotten, and there was even one vendor selling cocktails. Game courts are accessible for those looking to play bocce, ping-pong or shuffleboard. Crossing over to the shoreline offers additional seating options. 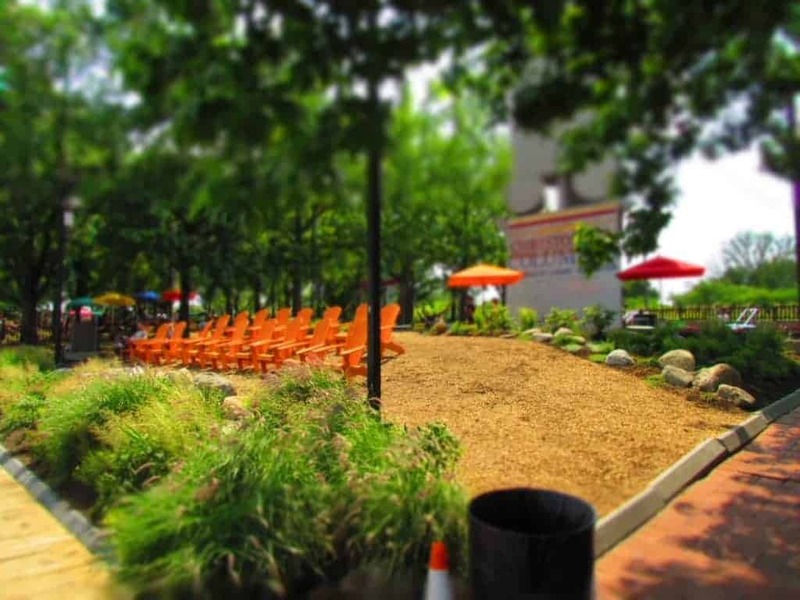 A large berm has quite a few Adirondack chairs available, which offer a view of the waterfront. Plenty of sunshine in this section means that it was a good spot to work on our tans. Just behind us was the Christopher Columbus monument. In this area they have over-sized versions of Jenga and chess. More seating here allows people to watch the matches. One of the most unique areas was filled with hammocks. Stretched between trees, this was a perfect spot to relax in the shade, while looking up at the color-changing LED lights in the canopy. This feature of the park seemed the most popular during our visit. It certainly set the mood for relaxation, and we were amazed at how quiet everyone in this area remained. It was super calm. As we continued strolling, we soon realized that we had moved beyond the park’s zone, and into a new area. 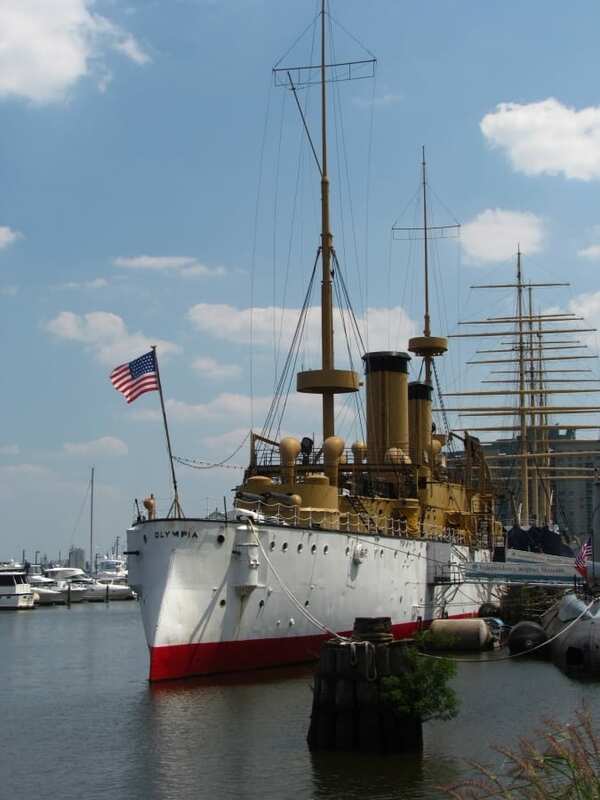 A naval museum is located next to the park, and although we didn’t visit, we did enjoy looking at some of the vessels anchored there. Being from the Midwest, we are probably not the best ones to ask when wanting to know what type of ship we are viewing. it was enough to know that they are big and beautiful. Our walk had brought us to a good place to cross back toward the downtown area. We took our last look at this awesome park, and entered back into the busy day.